Buurtzorg, understandably, places a lot of emphasis on supporting the nursing or care professionals develop into successful, sustainable, self-managed teams. That is only part of the story; to be successful teams need an efficient and professional back office function that is focused on reducing bureaucracy and supporting front-line care. In our work with UK partners, we are helping them to re-examine their back office systems and resources in the context of self-managed teams who still require support, albeit of a different kind. Ard Leferink, co-founder of Buurtzorg Nederland, and Paul Jansen, Chief Operating Officer of Buurtzorg Britain & Ireland, have been helping Medway Community Health to explore how the Buurtzorg back office model would apply. Buurtzorg’s back office is famously small: just 50 people support and organisation of 14,000 employees. Some of Buurzorg’s support functions are outsourced (for instance, its IT is provided by third party provider eCare), which of course helps to keep back office staff numbers down. In terms of cost, Buurtzorg’s model results in a famously low spend on overheads: just 8% of its total cost compared to 25% for a comparable care provider. Autonomous, self-managing teams of care professionals have the authority to organise their work themselves. There are no managers required to oversee this, and no central departments to support planning, quality assurance, answer calls, etc. The professionals are trusted to do a good job, and the results speak for themselves. 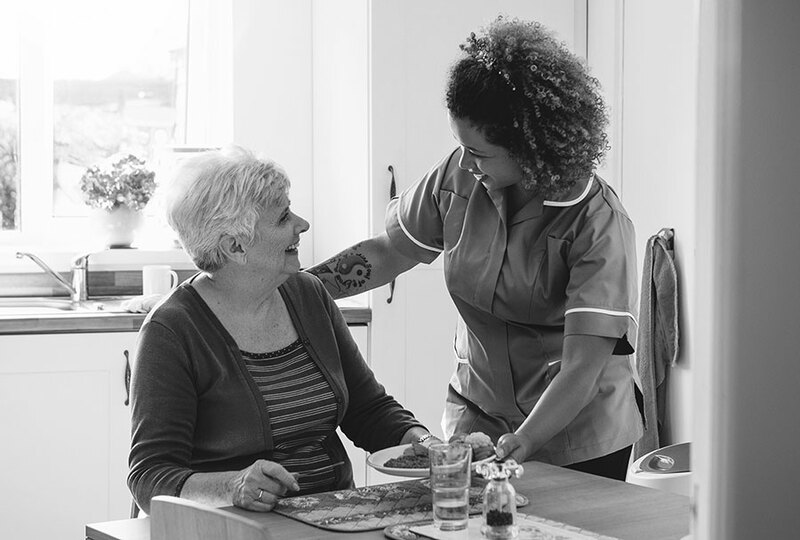 An ‘at your service culture’: the back office is there to support the frontline; the care professionals are their clients. Therefore, there is no need to instruct them, devise new policies, or follow up on countless reports. Instead, the back office focuses on solving problems and making professionals’ lives easier. A relentless drive for simplification: at Buurtzorg a central question is ‘how does this help in delivering better care to our client’? If the answer isn’t clear, chances are the action will be dropped. This culture has permeated the organisation, and as a result policies are kept at a minimum, processes are quick and simple, and costs are kept low. For instance, if a team hires a new colleague, they drive the recruitment process themselves within the team. Once the person is hired and the contract needs to be drawn up, the back office takes care of the paperwork like background checks and references. This way, the team stays in control of the quality of the recruit, but is not wasting time on paperwork. The back office, in the meantime, works with standard contracts that are electronically signed and processed. Ard and Paul’s visit to Medway focused on understanding the complexities of the local health and care systems, the requirements of regulators and commissioners and how that affects their processes, as well as how staff are supported in their work. The next step will be to start designing a simplified approach, using Buurtzorg’s philosophy. The ultimate aim is to provide better support for care professionals on the frontline, reduce the amount of bureaucracy, and free up resources to deliver more and better care. The workshop is part of the on-going programme of work under the Transforming Integrated Care in the Community (TICC) project. TICC is a cross-border partnership involving 14 organisations from the UK, France, the Netherlands and Belgium, approved and funded by the EU Interreg 2 Seas Programme 2014-2020 (co-funded by the European Regional Development Fund) which has supported the project over four years. Lessons learnt in the TICC programme aim to benefit the entire health and care system in the UK, France and Belgium.